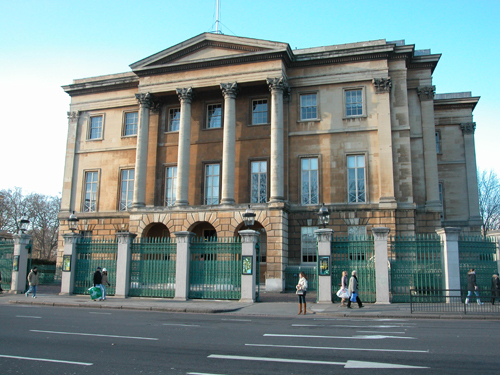 Apsley House is a museum and art gallery on the south-east corner of Hyde Park. It was originally built by Robert Adam between 1771 and 1778 for Lord Apsley. In 1807 it was bought by Richard Wellesley, 1st Marquess Wellesley, the elder brother of Sir Arthur Wellesley, but in 1817 financial difficulties forced him to sell it to his famous brother, by then the Duke of Wellington, who needed a London base from which to pursue his new career in politics. The 7th Duke of Wellington gave the house and much of its contents to the nation in 1947 but the family retain the right to occupy half of it. 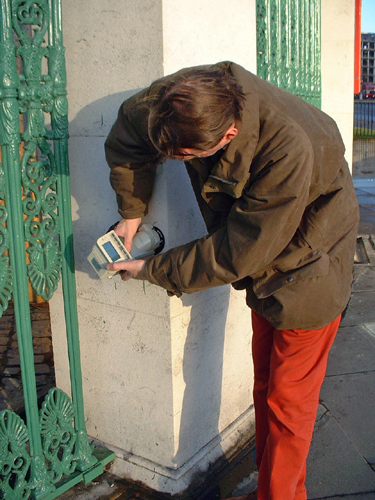 I have carried out a colour survey of the house and of the gate piers. More recently I undertook an analysis of the painted decoration in the Entrance Hall. This area is currently being redecorated. 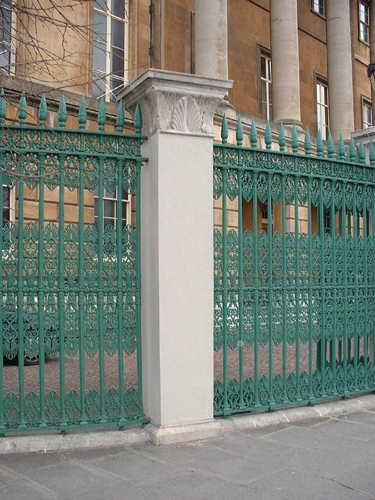 My company Papers and Paints mixed the paint especially to match the colour measurements and also supplies the bronze green paint colour seen on the external railings (it is known as SC329 “Apsley House Railings”). I have also carried out an investigation of the orangey colour seen in the sheltered portico of Apsley House. It appears to be a copperas wash that can also be found surviving on such buildings as Basildon Park and Buckingham Palace. 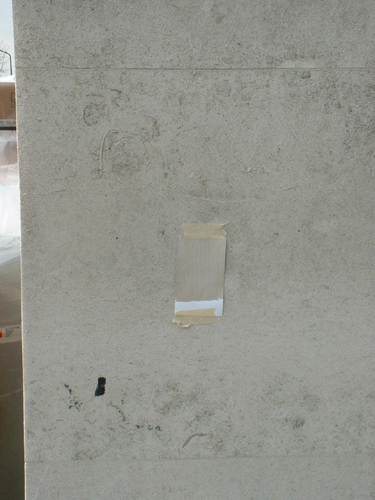 Work has also been carried out at the family’s other house – Stratfield Saye and on the neighbouring Hyde Park Lodge. This is a divine colour. I’m very ignorant on the subjecct but have been told that railings were generally colourful before Queen Victoria’s show of mourning. Would this have been a typical colour for a house from this period? Black is anonymous and asks to be ignored. I really hope that this is the beginning of an interesting movement.